CLASSES: both 4.7 and radial Lasers. LEVEL: coaching is intended for sailors who are experienced at racing and intend competing in the regional events. 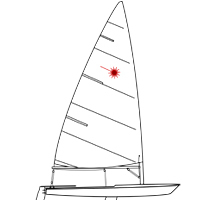 In particular, focus will be on getting sailors ready to compete in the Trials at Royal Cork Yacht Club in April. For February and March; coaching will take place in the morning to accommodate the Sunday afternoon DMYC Frostbite series. April coaching will full days.